In our last post, ★ Thought for the Day – The Family Juggernaut ★, we dug into how our family of origin can influence the trajectory of our lives and that we need to follow in how Jesus did not allow the doubts of his juggernaut derail His mission on this earth. Today I want to build upon that foundation to help us move to the next level. With my Mom’s passing being so recent, I can’t help but think about the past and the fact that I am the last in my family line. My mother, my father, my grandparents are all gone which lands the responsibility solely on my shoulders. I was going through old photos and stumbled upon this one from 1996 when my Mom and I went on a vacation to Washington D.C. My Mom (in the pink) got a rare opportunity to touch the Olympic Torch that was part of the historic relay that marked the hundredth anniversary of the Modern Games which started in Olympia Greece and ended in Atlanta, Georgia. It’s interesting that the Torch is a symbol of the Olympic Games commemorating the theft of fire from the Greek god Zeus by Prometheus, but now it is a wonderful memory of a time that my Mom and I shared today. At the end of the relay, the fire is used to lite the cauldron which is kept burning throughout the celebration of the Olympics for all to see. 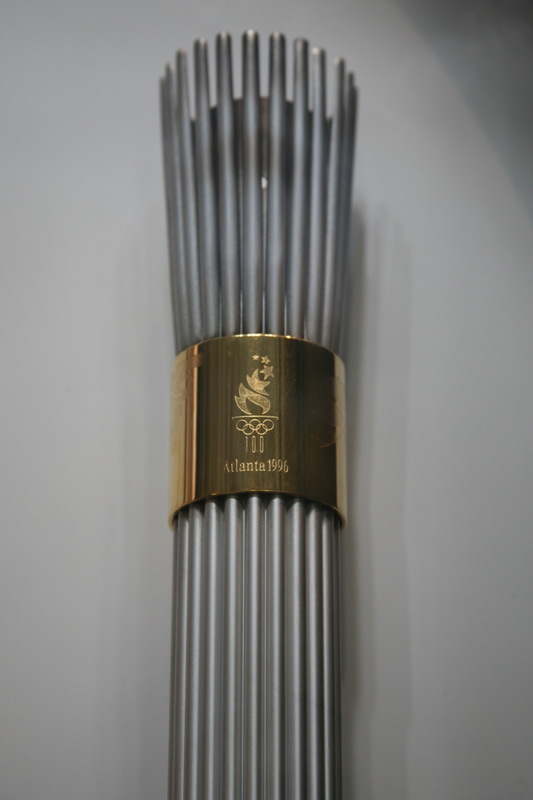 I did a little research and found out that Muhammad Ali was the one who lit the 1996 Olympic cauldron in Atlanta at the opening ceremony. Now 20 years later both Ali and my mother are gone but their memory lives on. Light has so much significance from providing heat to driving out the darkness and that is what has been on my heart of late. As I was writing this Thought, I just saw an All Laundry Detergent advertisement for their All PowerCore Pacs Oxi product using the classic gospel song called “This Little Light of Mine.” Now my past did not include singing it myself but its meaning is far more valuable to be used to sell laundry detergent! Today’s Thought will unpack its significance. 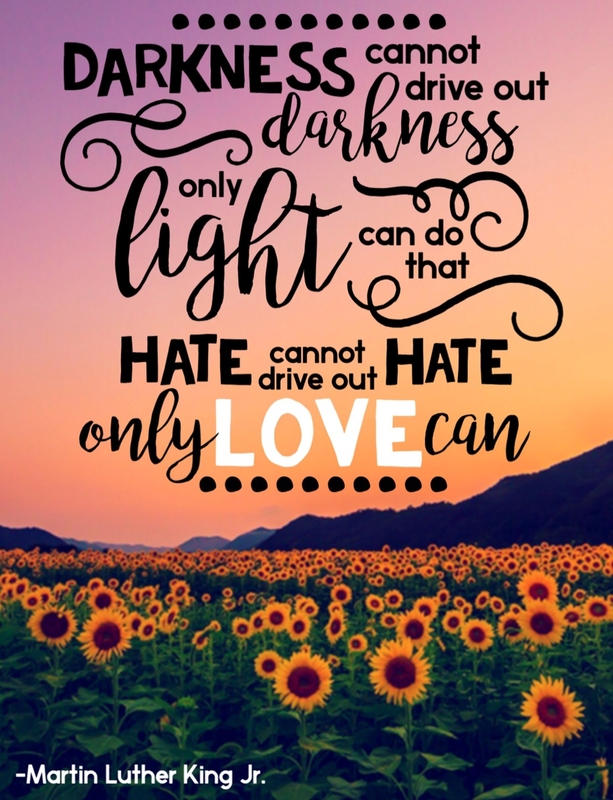 We need to overcome the darkness but shining our light. 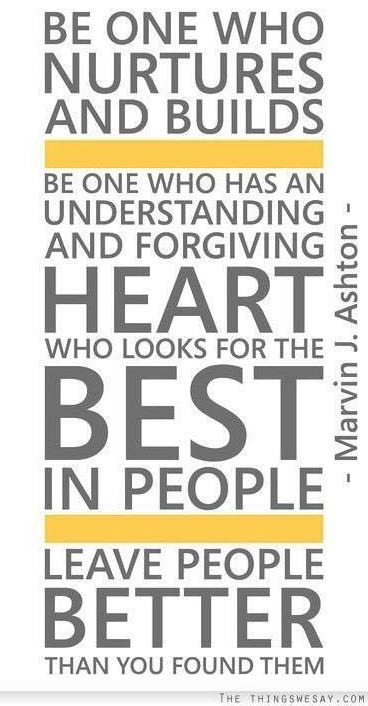 I love this quote from Marvin J. Ashton that I believe this captures beautifully of what it means to let it shine! This prayer is from the message called “Jesus is the Lead Story” from Louie Giglio, Passion City Church. Let your light shine today! Here’s the latest design from Share IT! Christian Clothing as a great reminder of the mission!